Getting insurance coverage for your trash hauler can be tough. That’s why we’re here. Just fill out one form and we connect you with three insurance agents who specialize in covering trash haulers. They each give you a quote and you pick the winner. So get started now! What Does Trash Haulers Insurance Cover? Trash hauling businesses need typical coverages that every business needs, like General Liability Insurance and Property Insurance. However there are certain things that trash collectors have to pay special attention to when considering which insurance coverages they need. Heavy Lifting – Even the most careful trash collector can hurt his back after lifting trash bins day after day. When an employee pulls his back on the job, you need insurance that can cover it. Handling HazMat – There is a great potential for injury, infection, poisoning, burns or lung damage. Vehicles – The most potent danger facing garbage truck drivers and garbage collectors is the treat of inattentive motorists. Your garbage trucks are on the road day after day; accidents are bound to happen. It’s crucial to completely cover your vehicle. Physical Damage – Protects your vehicle in the event of an accident. Collision – Pays for damage done to the refuse truck as a result of a collision, usually with another automobile. Comprehensive – Pays for other types of damage done to the vehicle. This includes vandalism, fire, weather damage, and theft. Uninsured Motorist – Pays for damage done to your garbage truck if it’s hit by an un-insured or under-insured driver. Preventative measures can save your employees from accidents and your vehicles from damage. It can even reduce the cost of your trash hauler insurance. Experts recommend that trash hauler owners teach their employees to change unsafe behaviors, such as rushing, not wearing protective equipment, or texting while on the job. There are many insurance companies out there who do business exclusively with garbage truck owners. The trick is finding the best one. 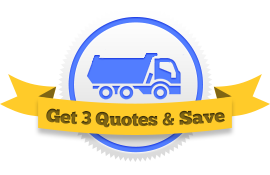 We can help you narrow down your search by connecting you with three garbage truck insurance agents today. They will each offer you a plan and you can select the coverage that works best for you and your business.